THE success of any enterprise in the next three decades will be determined more by its ability to use intangible assets than by its ability to control the physical ones, said Ramesh Jude Thomas, president of Equitor Consulting, speaking at ‘ET in Campus’ event held at Christ University Institute of Management. Delivering a lecture on ‘Brands in the Boardroom,’ organised by ET in Campus, an initiative of the Economic Times, Mr Thomas said that brand is a unique relationship that creates and secures future earnings for the company. Explaining the case of the world’s top two brands, Coca-Cola and Microsoft, he said that the total brand value of these two companies in 2007 was $129 billion, which was higher than the GDPs of many countries. According to him, the companies with established brands appeared more credible. Detailing the role of intangible assets in mergers and acquisitions, he said that when Procter & Gamble bought Gillette for $57 billion, a little less than half the price was for the brand alone. 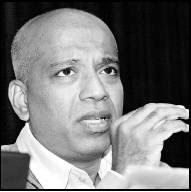 Dwelling on the reason behind the absence of Indian brands on the league table, Mr Thomas said: “As long as we continue to focus on cost, someone else will beat us at our own game. The need of the hour is to focus on creating value through brands.” “In the very near future, companies will be valued around the quality of their brands. Other assets will be valued only for the support they can provide to the brands,” Mr Thomas said.